ROCHESTER, N.Y. – After a car accident, your head is swimming with ideas of what you need to do next, especially if you or one of the passengers in your car were hurt. Many victims of car crashes ask themselves, When Should I Call a Lawyer After a Car Accident? Our Rochester car accident lawyers know that these situations occur without warning. Ultimately, you’ll likely want need to contact a lawyer if you’ve been injured, but when? Even if none of these situations apply, it’s still worth calling a Rochester car accident lawyer at Cellino & Barnes. Their legal team will go over your case for FREE, and help you determine the right course of action. New York is a no-fault state, meaning that if you were harmed during an auto accident, you must file a claim with your own insurance company first; however, that does not prevent you from seeking full compensation by filing a claim against the other driver’s insurance policy. Gather witness information. Ask anyone around you at the time of the accident for their names and phone numbers so that you may contact them at a later date. 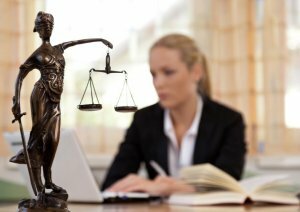 If you wait to hire an attorney, it may be impossible to track witnesses down. Take photos of the damage. Make sure to get photos of damage to your car and your person (injuries sustained). Seek medical attention. If you have suffered any injuries, it’s important to receive prompt medical care. A doctor should be able to identify your injuries. Keep all records of all doctor visits that take place after the crash. Order the police report. If a police report exists, call the police station and ask them for help ordering it. There may be a small fee to pay to make a copy of it, but it’s a crucial component of an attorney’s investigation. After you have been treated for your injuries, don’t hesitate to contact the resourceful Rochester car accident lawyers at Cellino & Barnes. We’re available to help you through the complex claims process every day of the week. Contact us to get started with a FREE case review. 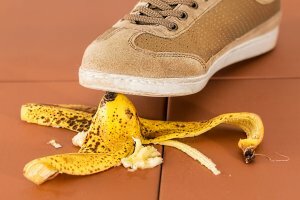 What Is A Personal Accident Claim? NEW YORK – When you’ve been injured in an accident, you probably have a lot of questions. 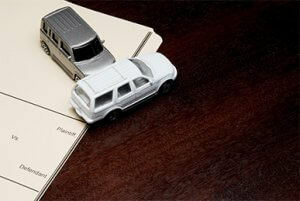 One of the most common questions our Long Island car accident lawyers hear is, What Is A Personal Accident Claim? The plaintiff: This is the person filing a claim against those responsible for an accident. The defendant: Also known as the “at-fault party” or “tortfeasor,” this person (supposedly) caused the injuries. Attorneys: Each party will have an attorney who is licensed to practice personal injury law to represent him or her. A personal injury attorney fights for the rights of the injured party to help them get the compensation he or she needs to pay for accident-related expenses. Adjusters: These are the people who work for insurance companies whose job is to settle claims. Adjusters do everything possible to avoid paying accident victims what they likely deserve. Although it seems wrong, these actions protect the insurance companies. First Party’s Insurance: The plaintiff’s insurer. Third Party Insurance: The defendant’s insurer. 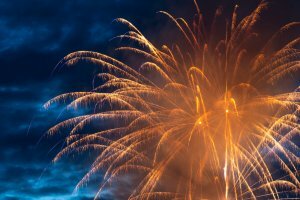 A Party to the Lawsuit: A plaintiff or defendant. These facts must be proved by a preponderance of the evidence, which is a lower standard of proof than what is required in criminal cases. The experienced legal team at Cellino & Barnes can help you file a personal accident claim. 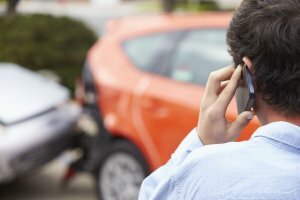 Their car accident lawyers in Long Island have helped thousands of injured clients maximize their compensation by fighting the big insurance companies head-on. If you’ve recently been hurt in an accident, you may be able to recover thousands of dollars which can help pay for a variety of accident-related expenses. Call our Long Island car accident lawyers at any time for a FREE case evaluation. ROCHESTER, N.Y. – Every expectant mother hopes for a successful, healthy birth. Unfortunately, thousands of parents discover developmental delays within the first few months or years of their child’s life, leaving them with a many questions like, What Are The Causes of Developmental Delays? Our Rochester birth injury lawyers hear from these concerned parents every year. The United States is not known for high-quality medical care for mothers and babies. In fact, of all the developed nations in the world, it has the highest rates of infant and maternal mortality. Cases of medical negligence do impact these rates. Although we all hope for the best, there is always a risk that a child may be hurt at any stage of pregnancy and delivery. 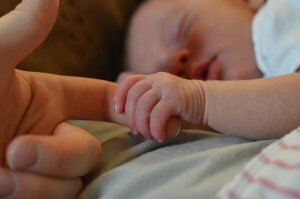 Just one mistake can affect a newborn for the rest of his or her life. Developmental delays in infants and children occur when a child does not reach developmental milestones at the expected time. Babies struggling to walk, crawl, or talk may have a developmental delay. It is often possible to observe such delays when children have trouble acquiring and developing language skills, fine motor and gross motor skills, and social skills. Slowed cognitive development may also indicate a developmental delay. There are two main causes of developmental delays in children: genes and birth complications. Although we cannot avoid genetic birth injuries, medical professionals can prevent instances of pregnancy and birth complications by remaining vigilant and abiding by the standard of care. Recent studies have found that preventable birth injuries are on the rise, and some researchers have noted that many doctors either lack the training or necessary skill sets which can help avoid childbirth complications. There are many ways a child may be harmed during pregnancy and birth. The obstetrician or other medical professional responsible for managing the pregnancy has a legal obligation to follow the current medical standards of care to protect mothers and their children. Failing to follow these standards increases the risk of a person experiencing pregnancy complications and birth injuries. A professional who makes harmful mistakes during pregnancy, labor, and/or delivery can sentence a child to a lifetime of medical issues, such as cerebral palsy, seizure disorders, Erb’s palsy, and more. Approximately six to eight of every one-thousand children in the U.S. are born with a birth injury. Complications during pregnancy and childbirth are all too common in the United States. If you or someone you care about has had a child hurt by a doctor or other hospital staff member during pregnancy or delivery, you deserve justice for the harm you have suffered. At Cellino & Barnes, our Rochester birth injury attorneys have helped families hold the responsible parties accountable for their negligence and receive compensation. We offer free case evaluations to all. 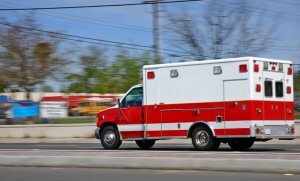 Hurt In An Accident But Didn’t Go To The Hospital – What To Do? ROCHESTER, N.Y. – When there’s a car accident, doctors and safety experts stress the importance of immediate medical attention. It can be the difference between life and death, even when your injuries seem minor. Many victims of traffic crashes tell our Rochester car accident attorneys they were hurt in an accident but didn’t go to the hospital. Keep in mind, your health and safety is ALWAYS top priority after a car crash. Not all accidents end with broken bones or severe whiplash, but it IS important to get checked out by a doctor if you were hurt. Even if you think your injuries are minor, there could be long-term health consequences that may not surface for days, weeks or even months after an accident. Getting this documented by a medical professional is also an important step that can help you get compensation for your injuries. There are over 16,000 car accidents every day in the United States. Not everyone has to be immediately rushed to the nearest hospital, but if you have any aches or pains after an accident, schedule a visit with your doctor as soon as possible. You may also want to get in touch with a local car accident lawyer. An experienced legal team can fully investigate your accident, file the necessary documentation, and present a case to the insurance company that can help you get the best result possible. Our Rochester car accident lawyers have decades of combined experience helping injured victims get compensation after a crash. If you have any questions, call us for a FREE consultation. NEW YORK – Being a pedestrian in any city is a risk many take for several reasons. Although pedestrian populations in and around New York City are among the greatest in the country, pedestrians are constantly at risk of being struck by a vehicle. 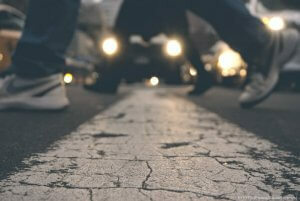 Many people ask our New York car accident lawyers, What Should I Do if I Was Hit by a Car While Walking? According to the CDC, over 130,000 pedestrians are injured each year in the United States. Pedestrian-car accidents tend to be much more severe than car-on-car accidents, as pedestrians aren’t protected by a large hunk of metal and strategically-placed airbags. If you were recently hit by a car, there are several steps you should take to protect your interests. Those who are hit by cars as pedestrians should take measures to receive prompt medical attention and ensure the accident details are recorded. These steps are similar to the steps you should take following a car accident in New York. Call 9-1-1 immediately. If you become incapacitated, ask a bystander to summon an ambulance to the scene of the accident. Call the police. The police will collect information about the accident to write an accident report. In your statement to police officers, give them the facts of the accident. Try to remember important details; do not tell them how you are feeling. Get information from the driver. It’s important to record the driver’s name and insurance information. If the accident was a hit-and-run accident, report anything about the vehicle and/or the driver to police officers. Write down everything about the accident as soon as you can, exactly as you remember it. Your memory of the accident can quickly fade; it’s crucial to remember the details as the information may be the key to receiving a just personal injury settlement. Also, ask bystanders to record what they saw. Take lots of pictures. If you are able to, take pictures with your phone of the accident scene. Be sure to take photographs of your injuries and the make and model of the car that struck you, if possible. Contact Cellino & Barnes. Even if you feel that you have sustained minor injuries, injuries you may not be aware of may make themselves known days or weeks after the accident. Before contacting your insurance company call our NY pedestrian accident lawyers to take the right steps to protect your case. Even if you think you may have contributed to the accident, it’s important to speak with an attorney and never admit fault to anyone who questions you about the crash. If you have any questions, contact our New York personal injury lawyers for a free consultation. Our No Fee Promise guarantees that you will not owe a fee unless we win your case. We’ve heard all kinds of questions, even What Should I Do if I Was Hit by a Car While Walking? Let us help you get answers for your unique situation. What Am I Entitled to in a Car Accident? NEW YORK – There’s never a convenient time to get involved in a car crash, yet thousands of people suffer this reality every day. In a car accident, it’s not always clear who is at fault, and many injured crash victims are left wondering, What are You Entitled To After a Car Accident? The good news is, New York is one of twelve states in which drivers do not need to prove who caused the accident to receive compensation for their injuries. Instead, the injured party’s own insurance company is responsible for paying damages. Victims who meet this threshold may be awarded compensation by a court or accept a settlement. Although anyone can file a personal injury claim with their insurance company, the process can become complicated fairly quickly. At a time when you need help keeping up with medical bills and other expenses, when you are recovering from possibly severe injuries keeping you away from your family and your career, it’s wise to work with an experienced Buffalo car accident lawyer who fully understands the process. Find out how a Buffalo car accident attorney can help you resolve your insurance claim while you focus on getting back on your feet. At Cellino & Barnes, our top goal is to get you the compensation you deserve and are entitled to by law. Contact a Buffalo accident attorney to discuss your case for FREE. We will help place you on the path to justice. BUFFALO, N.Y. – Accidents impact millions of lives every year. Some accidents may result in minor cuts and bruises, while others are more serious and could require years of expensive medical treatments. 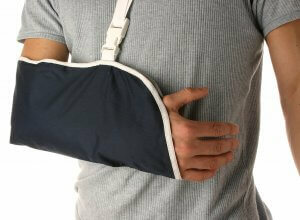 In either case, accident victims often ask the question, Do I Need A Personal Injury Lawyer? The Buffalo personal injury lawyers at Cellino & Barnes hear this question all the time, and the answer is different for everyone. If you’re asking this question, you probably need a personal injury attorney. It’s crucial to at least consult with a personal injury lawyer before making a decision on whether to file a claim or not. Even in cases where the insurance company has assured reimbursement of some medical costs, you could be leaving thousands of dollars on the table if you don’t have an experienced legal team on your side. Not all law firms are the same. Many lawyers actually charge you just to have a conversation with them. At Cellino & Barnes, our consultations are always FREE. You can call our Buffalo personal injury lawyers anytime, day or night, for a FREE case evaluation. If you prefer, you can also contact us online.